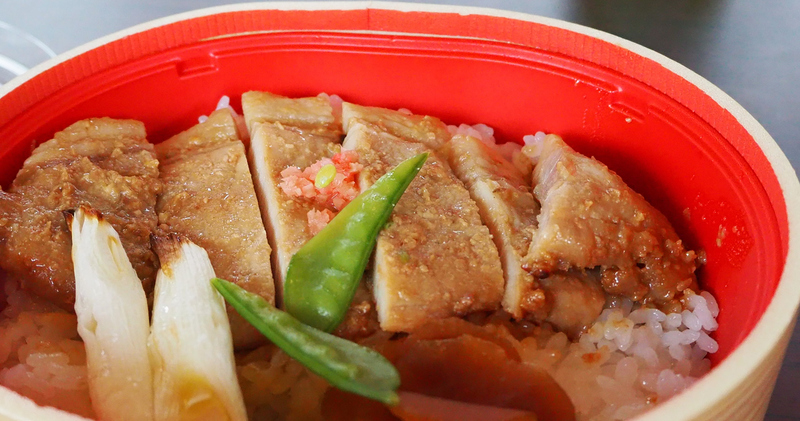 Culinary tourism or food tourism is becoming a movement in Japan. Ramen, Sushi, Gyoza - exploring authentic, local Japanese food is indeed worth a trip, For more advanced tourists, Maebashi City in greater Tokyo is now in preparation for unique food tours featuring “Hakko”, that will be attractive to health-conscious people and foodies. Maebashi City Convention & Visitors Bureau has focused on the unique food culture of the city and is now planning to develop food tours that will be available in 2019. Though the tour is basically for Japanese-speaking tourists and travel agencies organizing coach trips, the report here about the trial tour they conducted will provide some suggestions for a personal trip to Maebashi. Aso, cooking-enthusiasts may get some inspiration to make original fusion recipes. First of all, before start discovering Maebashi and its food culture, we need to know about “Hakko”. Hakko is a Japanese word that means ‘fermentation’, and the fermented food is called Hakko Shokuhin (= Hakko foods) in Japanese. The Hakko food has recently been recognized as a superfood for its ability to improve gut bacteria as well as taste enhancement. The fermented products commonly known in western countries may be bread, cheese, wine, and beer, typically made with yeast. In Japan, the bacteria traditionally, and mainly used in Hakko-fermentation processes is Koji, particularly used in the production of seasonings such as Miso paste, Shoyu (soy sauce) and Sake. These koji-fermented seasonings are added to almost any Japanese food including Ramen; Gyoza, and even sweets. It is not too much to say that the Hakko is crucial to Umami taste, and the Japanese food culture has is equivalent to the Hakko culture. Maebashi, the city created a Hakko culture with its flourishing industries. 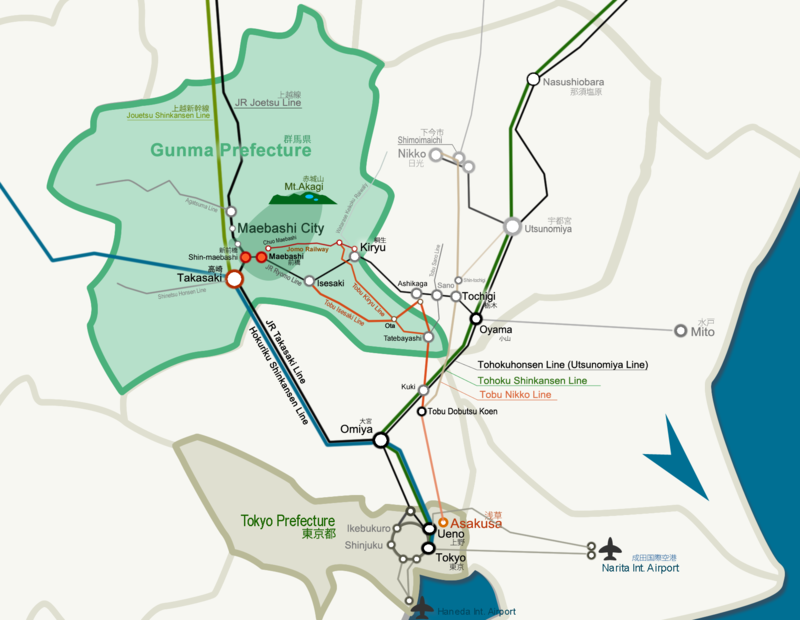 Maebashi, a city, lies in the northern region of the greater Tokyo, is the capital of Gunma prefecture, easily accessible from Central Tokyo by public transport. Lyng at the foot of Mt.Akagi, one of the three major mountains in the region, Maebashi is blessed with nature and geographical location that brought the growth of agricultural industries in the city. 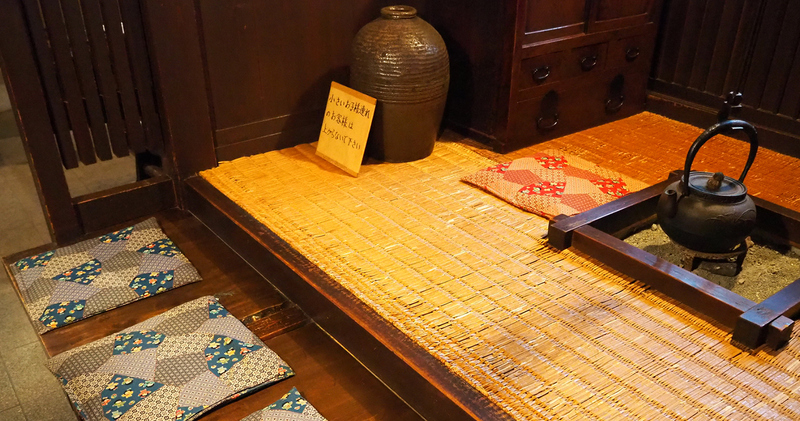 Maebashi City particularly flourished by the raw silk industry around the late 19 centries, the people around the time have cultivated the local food culture along with their lifestyle. 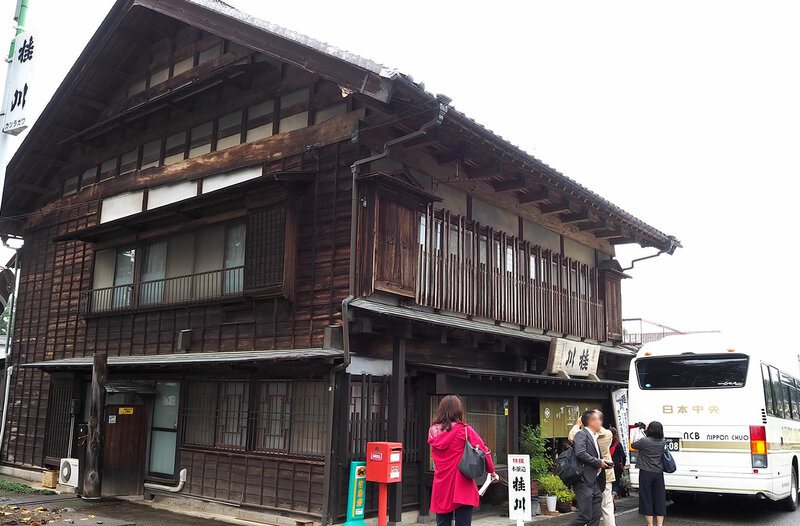 In Maebashi, there are long-established food companies handed down from generation to generation, tell the cultural history of the region to this day. Yakimanju is a bun fermented by Koji rice malt, pasted with sweet Miso-sauce and grilled. 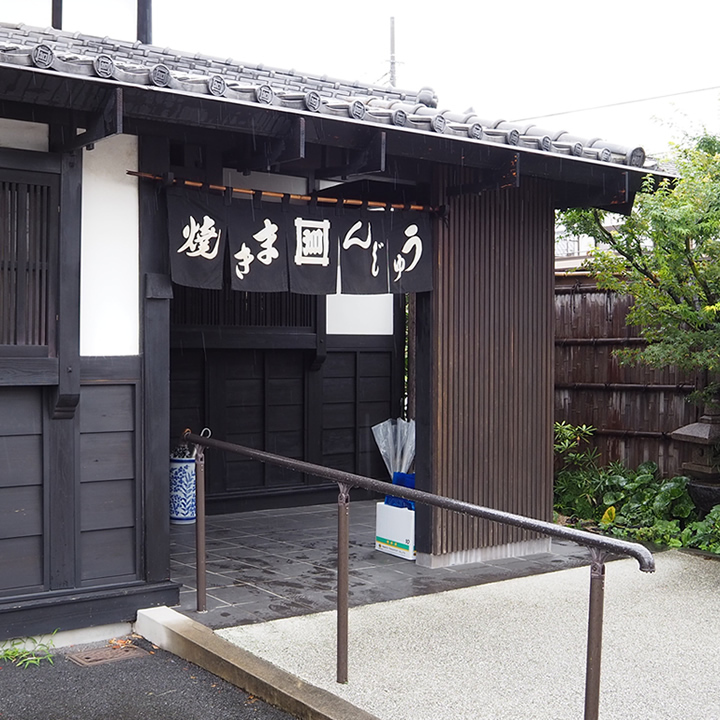 The bun was created by the founder of Harashimaya in 1857. Though most of the buns called Manju are usually made with rice flour, the Yakimanju bun is made with wheat flour. The land in the region used to be not suitable for growing rice, but wheat. In the flourishing days of silk production, the Yakimanju became so popular among workers at silk factories, especially female workers liked the bun as they wanted to have something delicious on a break. Yakimanju has been beloved by local people since that time, and become a local specialty with the popularity grown in the entire area of Gunma Prefecture where Maebashi City is. The Yakimanju at Harashimaya. 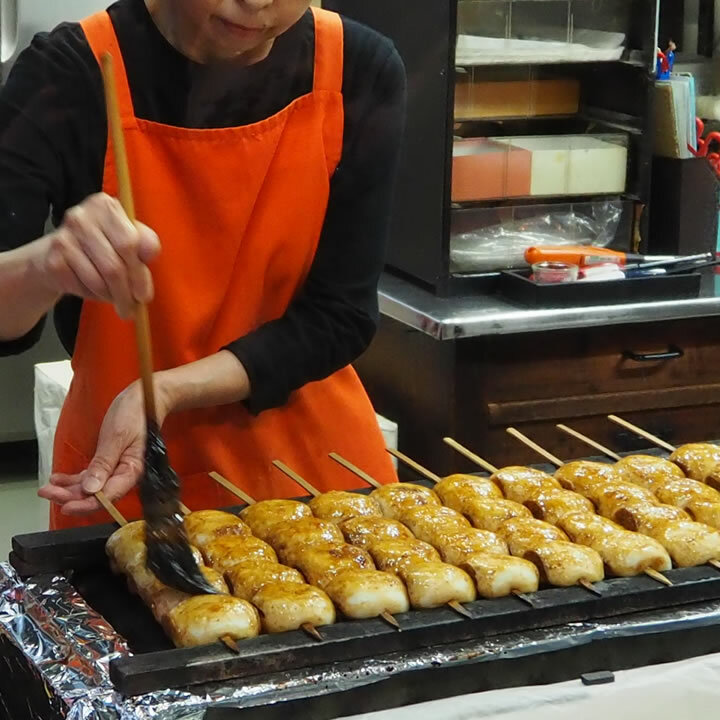 The buns are pasted with special Miso-sauce and grilled for several times. Harashimaya, the originator of the Yakimanju, has been making the bun over 160 years without changing their original recipe. 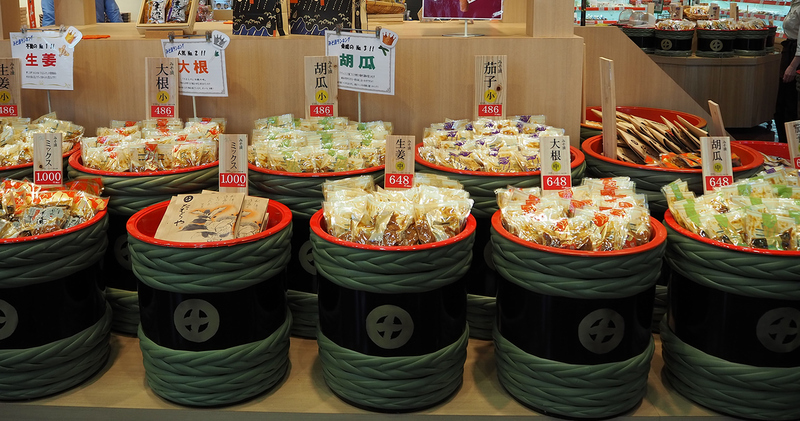 In Maebashi, many shops are offering Yakimanju with a different recipe. Visiting those shops on a trip and find your favorite one will be fun. The eating space at Harashimaya , a confy place to have a rest and enjoy Yakimanju. Founded in 1877, Yanagisawa Brewery has been producing classical Sake. The most of sake or rice wine produced recently are light and sharp so that it goes with cuisine such as Sushi. The traditional Sake produced by Yanagisawa Brewery is sweet and rich in a flavor of rice, which is best to drink as hot-Sake. This old-style sake was favored by people working at factories who used to drink after work to warm their body in cold winter. The hot Sake is like a mulled wine to enjoy at the Christmas market in the evening, or to enjoy alone/ together with friends at a fireplace, hopefully at an Irori Japanese fireplace. The fermenting vessels have to be changed from season to season as the temperature management is crucial for producing good Sake. Time-consuming work and fine adjustments by skilled brewers are essential. 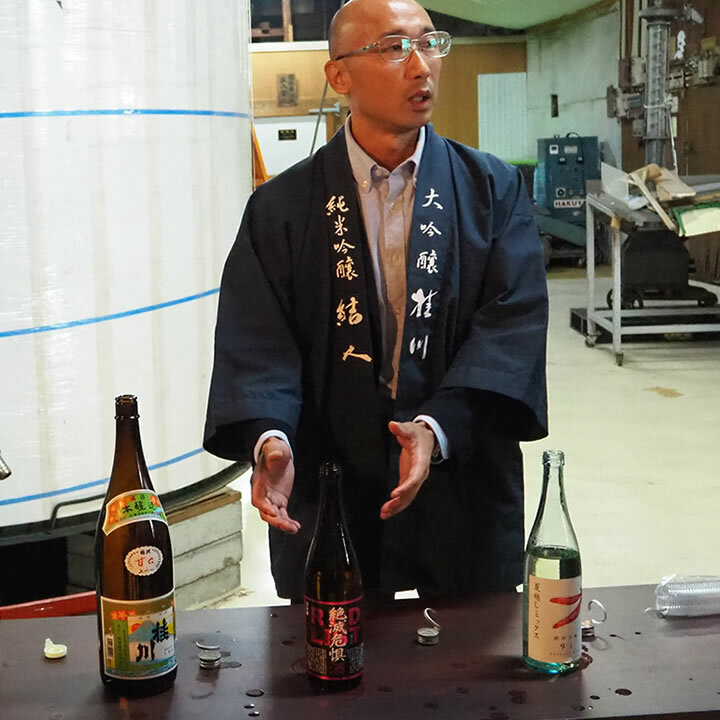 The rice-rich, old-style sake is so rare and almost "vanishing". 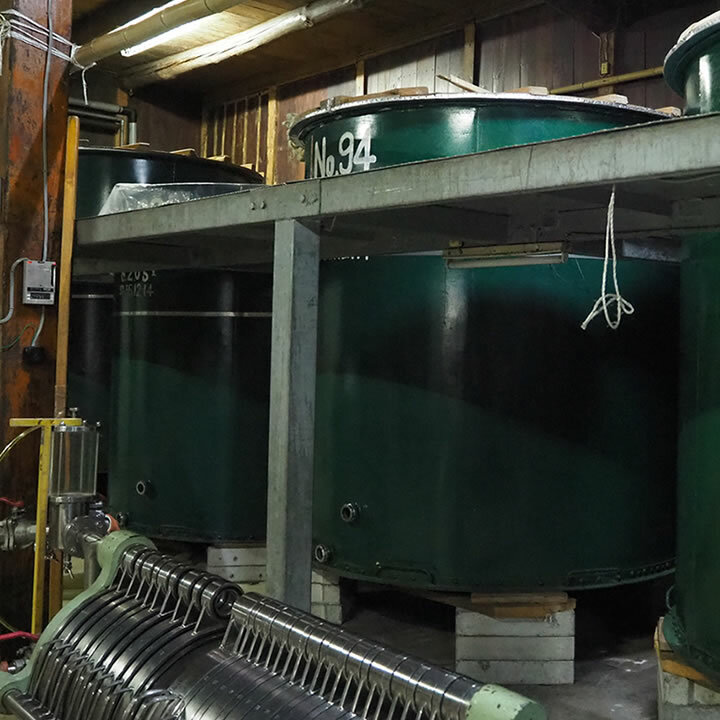 Yanagisawa Brewery keeps the production for sake lovers. Tsukemono or Japanese pickles produced across Japan are basically similar in taste. However, they vary depending on production sites as the results of koji activity are deeply influenced by the environmental conditions; the climate, topographical situation, and even local culture and history. The use of different recipes also gives them individuality and uniqueness, and this is why locally-made pickles are worth a try. Tamuraya, a well-established pickles store with a history of over 130 years, has been producing a variety of Tsukemono products, pickled or marinated with their original Miso-based marinating sauce. Though the production of Tsukemono in Maebashi is challenging to manage as the temperature drastically changes between day and night, they have acquired a recipe and marinating process that bring the distinctive, delicious flavor. 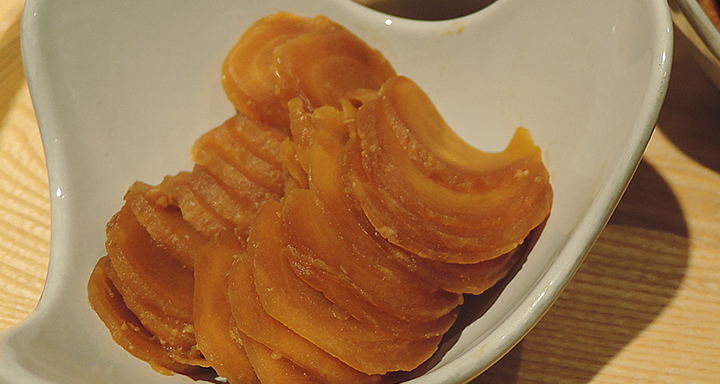 Hakko foods, including Tsukemono pickles, were formerly used only in making traditional Japanese dishes, but the usage has been widespread while the popularity of food mashups and fusion cuisine is increasing worldwide. Bringing accents without standing out too much, Hakkon foods can be a secret ingredient to create new recipes. Misozuke or Miso-pickles of daikon radish. (Produced by Tamuraya) Mince of this pickles will add an accent to various food; tartar sauce, etc. Miso-fermented cheese with black paper. (Produced by Tamuraya) Being matured with Miso, extra flavor is added. Miso-marinated pork (Produced by Tamuraya) The fermented sweet sauce help the meat to keep soft and juicy after grilled. Hakko foods you can enjoy in Maebashi is not only Koji-fermented product. 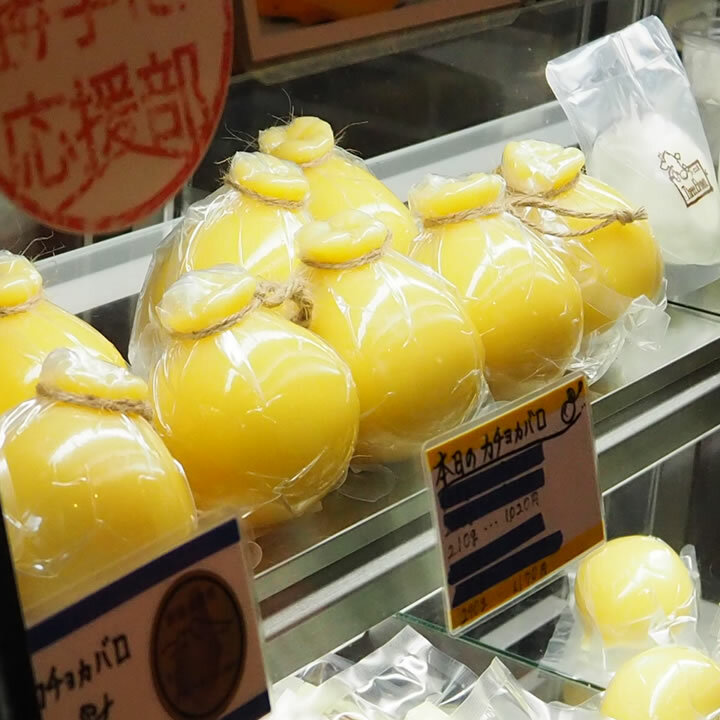 Dairy producers in Maebashi are producing lactic-fermented products on their farms, leading to the slow food movement in the city. The There Brown, a cheese factory shop operated by a young family, offers authentic cheeses made with fresh milk from their Brown Swiss cattle. 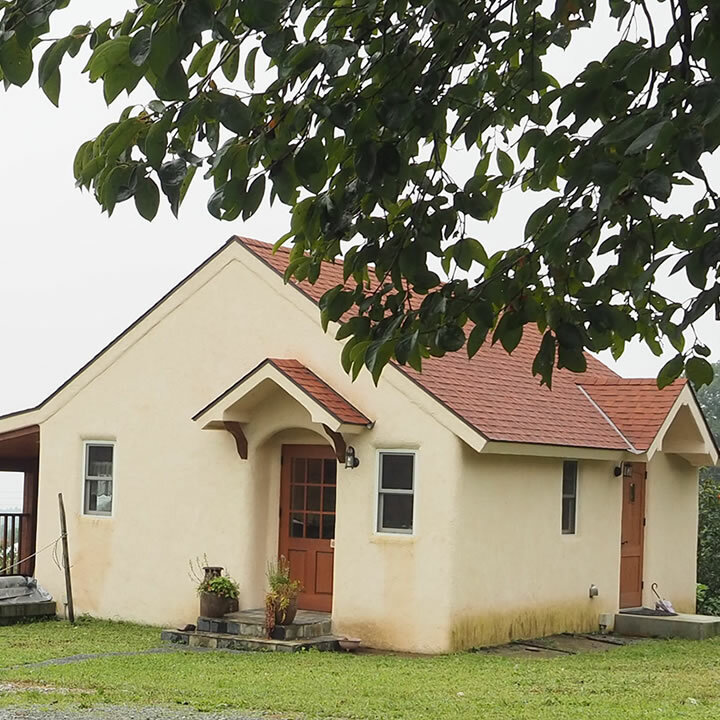 The owner is the Matsushima family who has strived for a dream of owing milk cows and making cheeses over 18 years, then finally started a dairy farm with three brown cows in 2011 and opened a cheese factory two years later. With the growing popularity of the cheese, they opened a shop on their farm in 2017. Three brown produces different types of cheeses; Mozzarella, String Mozzarella, Fromage frais, Scamorza, and Caciocavallo - all handmade cheeses. With a passion for cheese, they keep only 6 cows for small-scale production so that they can take care of everything in their hand, from cultivating the land, feeding the cows, milking, cheese producing, to packaging and selling. 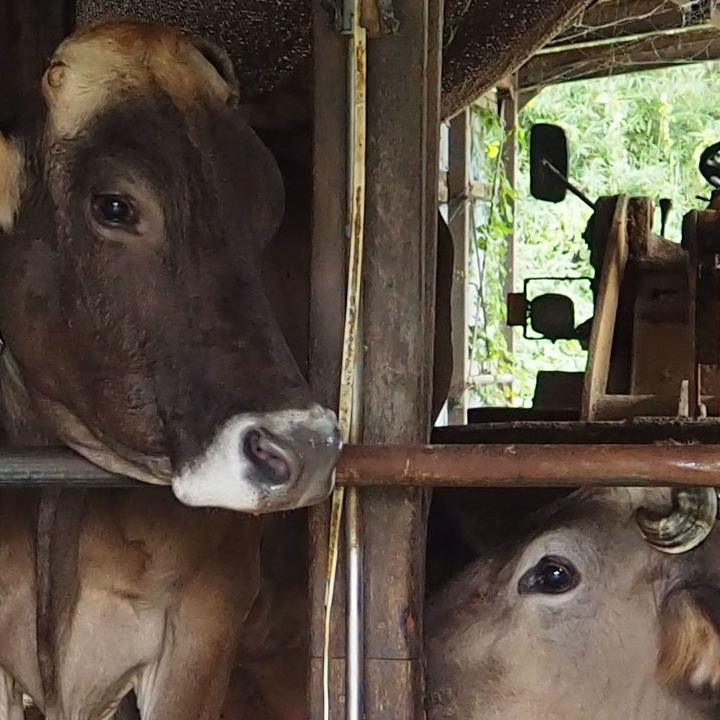 The Brown Swiss cattle at Three brown. They are "the family members" and have a name. They offer authentic cheeses hard to come by in Japan. 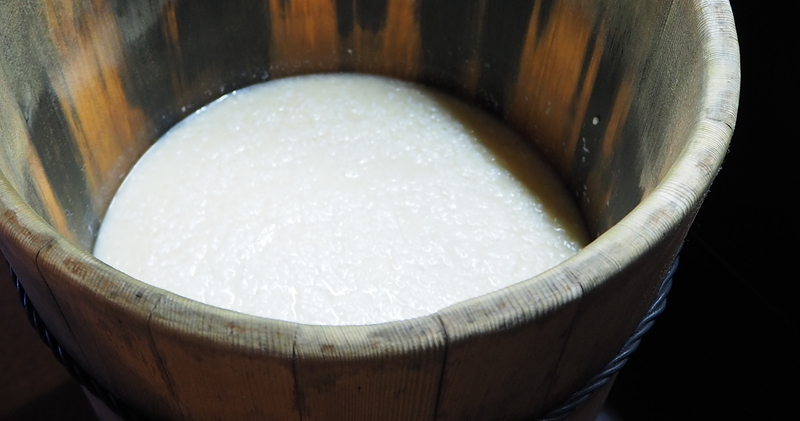 Caciocavallo made with fresh milk will go with sake. 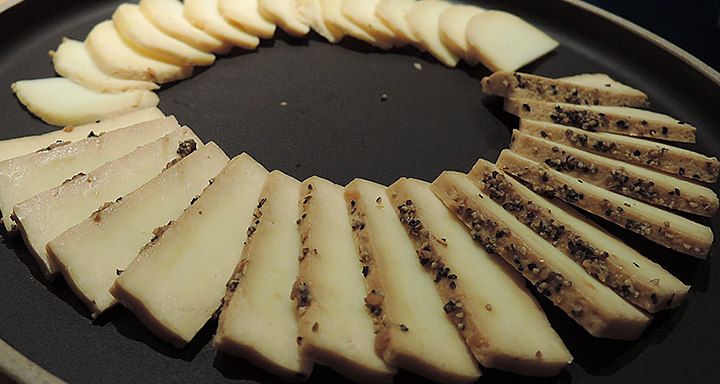 Three Brown gives customers ideas on how to enjoy their cheeses; Sliced Mozzarella with Wasabi and Soy sauce is a suggestion. Lies on a hillside at the southern foot of Mt.Akagi, the farm has a majestic view of Maebashi City down there. 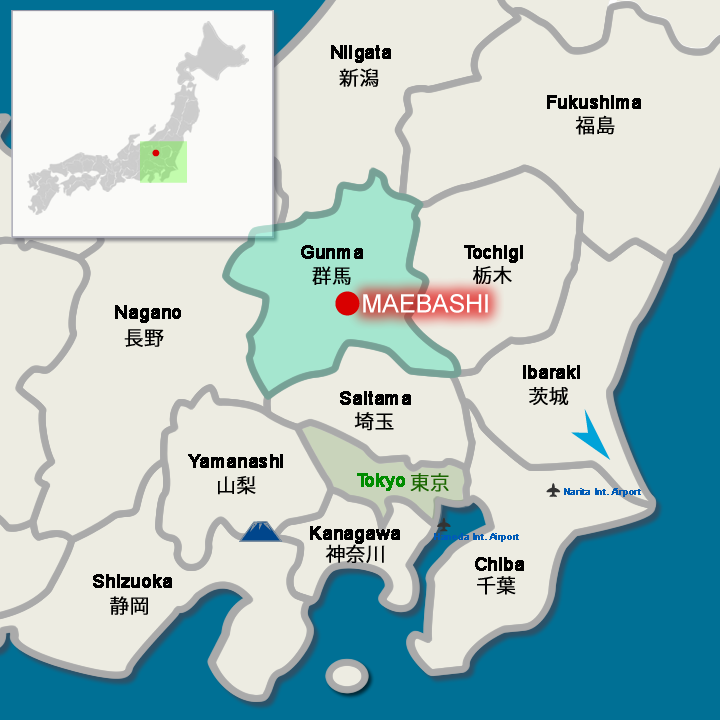 The Maebashi City of Gunma Prefecture is about 115km from Central Tokyo. The gateway to the city by train is Maebashi Station reachable by the JR Ryomo-sen train served from Takasaki Station which is the hub station of the Gunma prefecture where the bullet train (Shinkansen) stops. To reach Maebashi Station from Tokyo Station, taking a bullet train bound for Takasaki then change trains is the quickest way as it takes only 1 hour and 15 minutes in total. For those wanting to save Money on Transportation, taking an express train instead of a bullet train is an option, the total travel time will be about 2 hours and 15 minutes. The Maebashi area is also reachable from Tokyo by train on the Tobu Kiryu Line served between Asakusa and Akagi Station, is about a 2-hour travel. From Akagi Station, you can take a local train heading for the central area of Maebashi (Chuo-maebashi Station). The places featured here on this page and tourist attractions in Maebashi are scattered around the city, mostly reachable by car or bus. The suburban bus is served from Maebashi Station, and on-demand bus and taxi services are available from some stations on the Jomo Railway, the local train running through rice fields and cross the city west to east. Be sure and find which station to get off and to take the bus for your destination. The suggestion is that visiting the tourist information office at Maebashi Station before starting your travel. 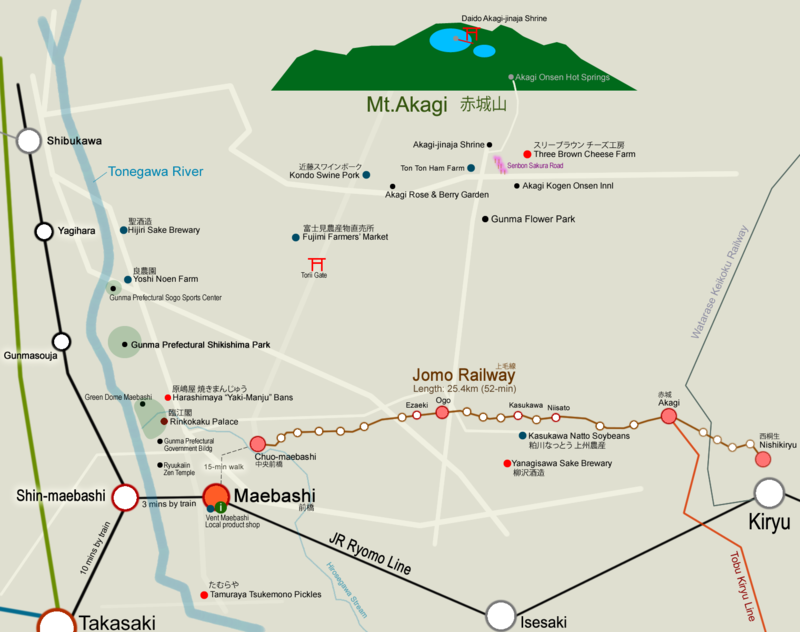 For traveling around the downtown and the area along the Jomo line, renting a bicycle is convenient. The Jomo Railway allows passengers to take the bike on the train without extra fee other than fare.